The long-awaited Surface Pro 3 pen control panel should finally be available in a couple of weeks according to Surface Audience Marketing: Creators manager Markus Weickenmeier. I had a chance to catch up with Markus during this week's Adobe Max and when he wasn't busy either shepherding executives to media briefings or helping new users set up their shiny new Surface Pro 3s, I pressed for an update regarding the much needed pen utility. The app should be available for download from the Windows Store in two weeks, but in anticipation of its release, users will first have to install a set of firmware or driver fixes coming during the next Patch Tuesday. UPDATE: That patch was actually released on Tuesday, October 7 as System Hardware Update 10/6/2014. Unfortunately, remapping the pen's side switches won't be part of this release, but that function may be added to future app updates. As a store app, it will be easier to add future functionality, according to Weickenmeier. I haven't been granted a look at the utility, so it remains to be seen whether it will satisfy my needs. In most software I use, I find that light strokes register too heavily, but users of Fresh Paint (for example) complain that they have to press too hard for their strokes to appear. It will be interesting to see if the IAF will have to be adjusted for different applications. Another interesting question is whether the app will behave well with programs like Manga Studio which allow users to set their own pressure values. 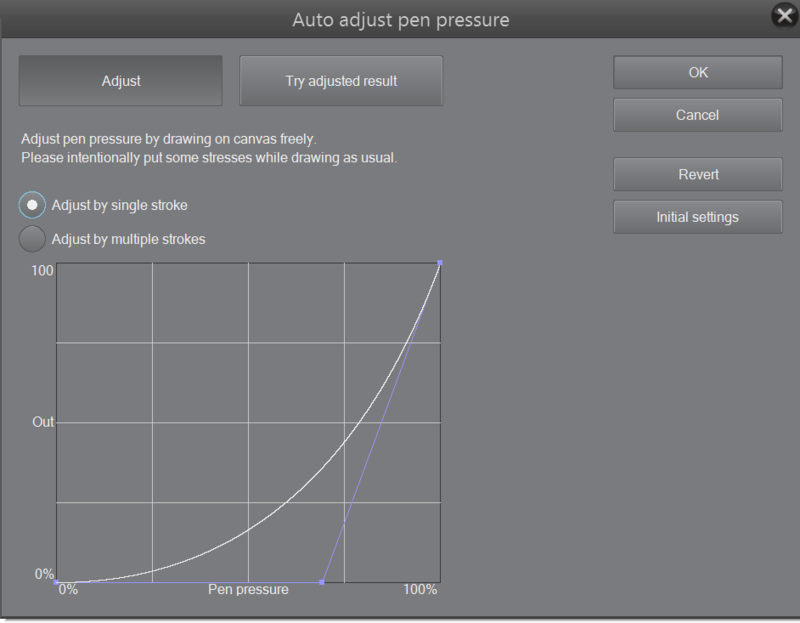 The Manga Studio 5/Clip Studio Paint pen pressure preferences dialog box. It's unclear how the new Surface Pro 3 pen app will interact with these and other programs that allow users to adjust pressure curves.